Red D Transmission would like to welcome you to our Carmichael area automatic transmission and general auto repair shop website. 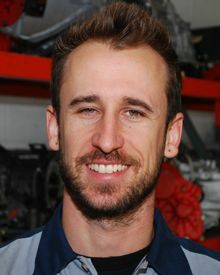 Each technician at our Carmichael automotive repair shop is professionally trained and certified and are eager to deliver their automotive transmission and general repair expertise for all your car or truck repair needs. Our automatic transmission shop is proud member of the non-profit automotive organization known as the Automatic Transmission Rebuilder Association (ATRA). As an ATRA member our automotive repair shops conform to the service and repair definitions which are a part of the ATRA bylaws and code of ethics. As one of the leading auto repair companies in the Carmichael area, Red D Transmission promises all of our customers that we will not take out a transmission from a vehicle in order to complete a repair unless it completely necessary. Also Red D Transmission promises to diagnose transmission problems in an honest and expert manner. Our shops strive to provide prompt and courteous service to all who visit our automotive repair facility in the hope that you will come back to us for all of your automotive repair needs. Red D Transmission also provides a complete range of general automotive repair services to keep your vehicle running like new. Look around our web site and if you have any questions, don't hesitate to drop by, e-mail or phone us at 916 978 8575. Red D Transmission invites you to take advantage of our easy 24/7 online scheduling! Simply complete and submit the appointment form to schedule your repair. 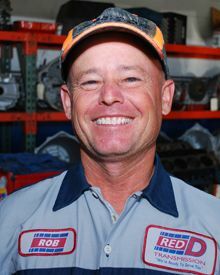 Red D Transmission offers our customers in the Carmichael area nationwide protection. Our warranties are among the best in the automotive repair industry. Red D Transmission is always interested in hearing from qualified individuals seeking employment at our Carmichael automotive repair shop. If you are interested in joining the Red D Transmission team we want to hear from you. Red D Transmission is pleased to introduce our valued team of automotive repair & service specialists. 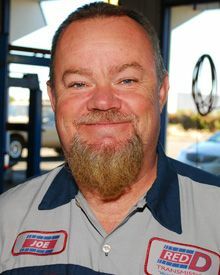 Our staff is dedicated to ensuring our customers get only the best auto repair in Carmichael, at the right cost, and to their complete satisfaction. 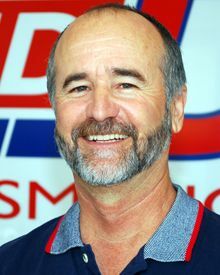 Wes Donnel has owned Red D Transmission since 1979 and takes great pride in offering only the best service to those in the greater Sacramento area in need of automotive transmission repair or service. 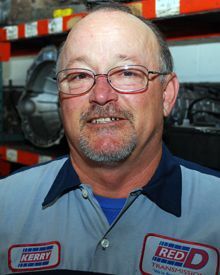 Wes started his auto repair career as a automatic transmission rebuilder.